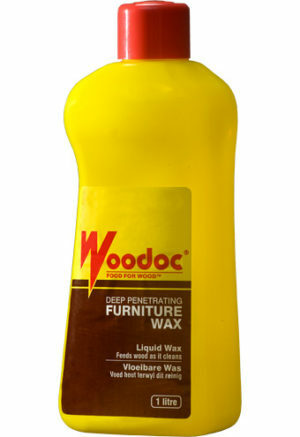 A liquid maintenance wax for use on all indoor woodwork. 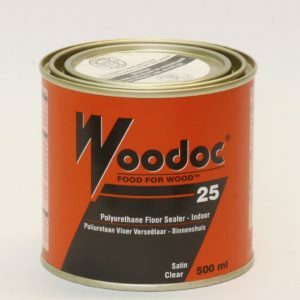 This product treats wood effectively in spite of the presence of waxes, oils, varnishes or sealers. Woodoc Deep Penetrating Furniture Wax will protect furniture and woodwork against severe moisture and environmental changes, such as experienced with changes in season, and while furniture or woodwork is in transit. Brings out the natural colour and grain of wood. For use on all wood types. Imparts distinctive elegant sheen to wood. No rubbing or polishing is required; merely wipe the product on. 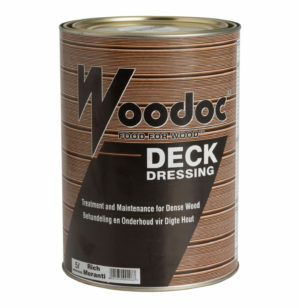 Compatible with most varnishes, sealers or finishes.